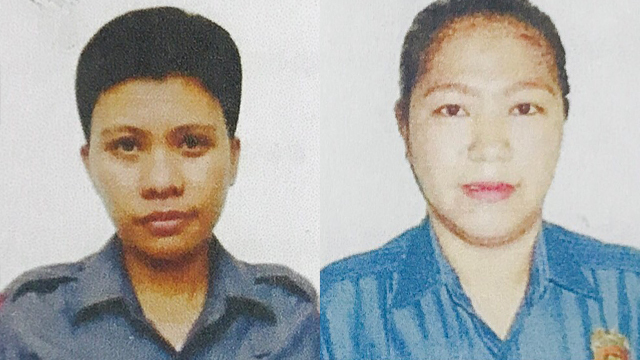 Policewomen Benierose Alvarez and Dinah Gumahad have been freed by a suspected Abu Sayyaf splinter group on Sulu. Their release follows a series of bloody clashes on the island. Philippine police chief Director General Oscar Albayalde has confirmed that the two policewomen abducted last month in Sulu have been freed. He said today (Wednesday, May 16) that Benierose Alvarez and Dinah Gumahad are now being sheltered by Sulu Governor Abdusakur Mahail Tan. “The negotiation was done with the help of the governor. We don’t know what paved the way for the release of the two hostages. But of course, the negotiation and the local government unit of Jolo, Sulu were a big help,” he added. Other reports suggest that Nur Misuari — the founder and leader of the Moro National Liberation Front — had a hand in securing the two women’s release. As we reported on Monday, three soldiers were killed and 12 injured in operations to rescue the pair. Ten suspected terrorists were also killed in the clashes. Alvarez and Gumahad, along with their boyfriends Jacksalem Blas and Faizal Ahidji, were kidnapped in Patikul on April 29 by 11 armed men believed to be members of an Abu Sayyaf splinter group. Ahidji was released on May 7 while Blas was freed a few days later. The kidnappers had earlier demanded five million pesos ransom for the release of the two women. It is not known if this — or any other amount — has been paid. At least 10 other kidnap victims remain in the hands of the Islamic State-affiliated group. They include Ewold Horn, a Dutchman kidnapped in February 2012 on the island of Tawitawi.